Catalonians have always been great traders thanks to their geographical position in the NE of Spain in the heart of the Mediterranean Sea. From one coast to another Pere Selles arrived to the Pacific NW more than 15 years ago to bring a piece from Spain to the US. He began his company, today Culinary Collective, as many things happen in life, in an informal and adventurouos way. “A friend asked me if I could sell his olive oil here in Seattle so I began to see chefs all around the city with all my warehouse in the trunk of the car,” remembers. One of his first clients was Tom Douglas, who loved his olive oil and his romantic way of working with a high dedication to an artisanal and high quality product. 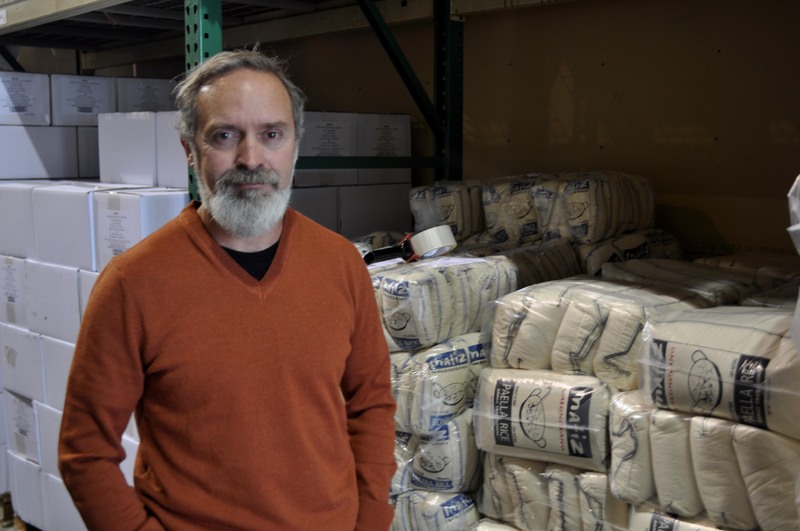 Soon the chefs asked for more products for their restaurants and Pere decided to incorporate more gourmet foods to his portfolio and to rent his first warehouse. Today Culinary Collective is the most important Spanish gourmet food importer, with more than 150 references, and they deliver delicacies all around the US. Here in Seattle you can find their products at PCC, Metropolitan Market, Whole Foods, The Spanish Table and De Laurenti in Pike Place Market. But La Tienda.com, the most important on line Spanish food seller make them available to every corner in the country too. When Pere looks for new products his criteria is clear: small-scale production of flavorful heritage food using traditional and environmentally friendly techniques and high quality. That´s why wandering through his Lynwood warehouse was something similar to walking in heaven for a Spaniard food lover like me: piles of paella rice bags, chicken broth, Extra Virgin Olive Oil, chocolate, canned vegetables and fish, Sherry Vinegar… and anchovies stuffed olives from L´Escala, one of the most beautiful towns in Catalonia, a flavor really difficult to find here in the US. And It´s fun to realize how The Culinary Collective is based in Seattle, the paradise of local, fresh and sustainable ingredients in the US. Some of the products keep the original brand as in Spain, others are gathered by the brand “Matiz” created by the company. “We wanted not only to offer high quality but a beautiful package customized for the US consumers”. A few years ago the company began to work with the Andean Region to bring diferent flavors mainly grains and flours know for being healthy, flavorful and gluten free, offering an amazing carbs alternative to people with gluten intolerance. These products are reunited under the label Zocalo. One of the new brands that Culinary Collective are working with is Aneto 100% natural, a Spanish Company who is specialized in offering chicken and paella artisanal broths. They participated as sponsors in the International Food Bloggers Conference celebrated in Seattle last September to show how to prepare a tasty paella saving time and effort. In fact, this is the main challenge for Pere Selles, co-founder of the company. “Our main clients are US citizens who have visited Spain and love our food and our traditions, but sometimes they don´t have the knowledge or experience to take full advantage of our products because there is nobody in the aisle of the supermarket to help them,”, explains. The lack or Spaniard´s restaurants in the city, compared to French and Italian ones, don´t help to make seattlelites feel more familiar with our country´s cuisine too. “As I have experience working in restaurants in Chicago, sometimes I think I should go on that direction one day”, concludes Pere with a mysterious smile. I have to say It wouldn´t be a bad idea at all. 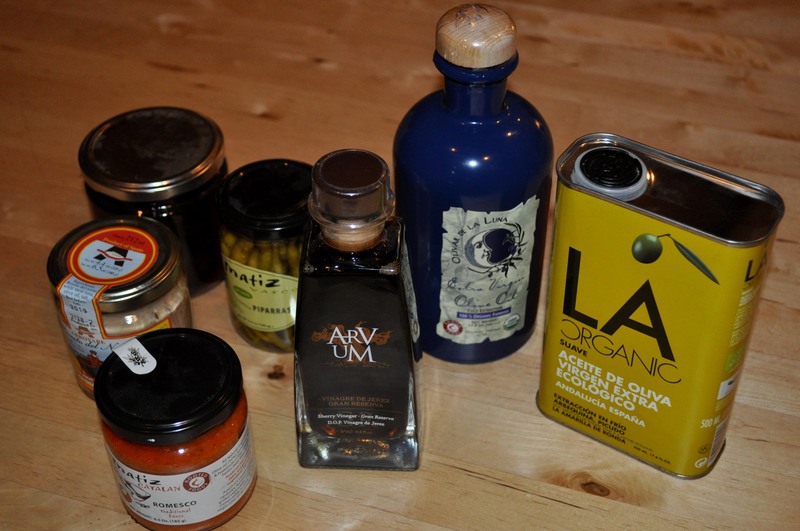 Posted on November 5, 2014, in Companies, Products and tagged anchovies, Aneto, chicken broth, Matiz, paella, paella rice, Pere Selles, Spanish gourmet food, Zocalo. Bookmark the permalink. Leave a comment.